It is highly unlikely that a high school or college biology student will learn about the gaping chasms that exist in evolutionary theory: chasms over which scientists have no crossing bridges designed or constructed. The existence of these chasms causes the entire theory of evolution to collapse, and that is precisely the reason these chasms are not broadcasted in school curricula: chasms such as the origin of matter as well as the laws which govern it [see Miller, 2007 for a discussion on the origin of matter]. At least two of these chasms exist due to the existence of the irrefutable, highly respected Law of Biogenesis, or Biogenic Law (Simmons, 2007). This law states that in nature, life comes only from life and that of its own kind. The Earth is filled with non-living matter. The Earth also abounds with living creatures. The difference between the two is hardly insignificant. Human beings cannot create life, though many attempts have been made (e.g., Wong, et al., 2000; Miller and Levine, 1991, pp. 343-344; Hartgerink, et al., 2001; for refutations, see Houts, 2007; Thompson and Harrub, 2003). There is no evidence that anyone has ever been able to bring about life from non-life in nature (i.e., excluding supernatural occurrences during the miraculous periods of human history [e.g., Peter in Acts 9:32-41; Elisha in 2 Kings 4:17-37; and Elijah in 1 Kings 17:17-24]). The jump from non-life to life is no trivial matter. So, how did life originate? Entire worldviews are built upon the answer to that question. There are ultimately only two possibilities. Years ago, evolutionist George Wald, professor at Harvard University and Nobel Prize winner in physiology and medicine, recognized as much, stating that “the reasonable view was to believe in spontaneous generation; the only alternative, to believe in a single, primary act of supernatural creation. There is no third position” (1954, p. 46). There are only two options for the origin of life. It was created; or it created itself. The late, eminent evolutionist, Robert Jastrow, founding director of NASA’s Goddard Institute for Space Studies, said, “either life was created on the earth by the will of a being outside the grasp of scientific understanding, or it evolved on our planet spontaneously, through chemical reactions occurring in nonliving matter lying on the surface of the planet” (1977, pp. 62-63, emp. in orig.). The biblical creationist asserts that life originally came directly from God. Concerning human beings, Genesis 2:7 says, “And the Lord God formed man of the dust of the ground, and breathed into his nostrils the breath of life; and man became a living being.” [Note: This view, incidentally, is in contradiction to the theistic evolutionist’s attempt to harmonize the Bible’s story of origins with evolutionary theory, which portrays God as giving life to the original cell on Earth. Then, that cell, in accordance with evolutionary theory, evolved and passed on life from creature to creature until humans came on the scene. God, in this portrait, never “breathed” life into man’s “nostrils” at all, but rather, into the “nostrils” of a noseless cell.] The atheist asserts that life created itself, a belief known as biopoiesis. The Encyclopaedia Britannica defines “biopoiesis,” also called spontaneous generation, abiogenesis, and autogenesis (McGraw-Hill Dictionary…, 2003), as “a process by which living organisms are thought to develop from nonliving matter, and the basis of a theory on the origin of life on Earth” (2011, emp. added). In essence, once upon a time, there was a dead rock that oozed non-living, primeval, prebiotic, organic soup (Lahav, 1999; Miller and Levine, 1991; Hoyle and Wickramasinghe, 1978). One day, lightning struck, and that soup came to life. The atheistic evolutionist must hold to a belief in abiogenesis in order for his position to appear tenable. It is a fundamental premise of the theory of evolution. If biopoiesis did not occur, atheistic evolution cannot occur. This fact was recognized as far back as 1960, when G.A. Kerkut published The Implications of Evolution. Therein he listed seven non-provable assumptions upon which evolution is based. “The first assumption is that non-living things gave rise to living material, i.e., spontaneous generation occurred” (p. 6). In spite of the admission that evolution is based on non-provable assumptions, many today in the evolutionary community boldly assert that their theory is a scientific fact. However, the unbiased observer must ask: what does the scientific evidence actually have to say about the origin of life? Understanding life at the microscopic level due to the state of technology in this day and age might make the work of Italian scientist, Francesco Redi, seem trivial to many. However, before achieving the microscopic viewing capabilities we have today, some things we take for granted were not so intuitive. Long ago, the Greeks believed that abiogenesis was common (Balme, 1962). This belief continued to be the dominant position for millennia. Even as late as 300 years ago, it was standard belief in the scientific community that life commonly and spontaneously arose from non-life. For instance, it was believed that when a piece of meat rotted, it “spontaneously” gave rise to maggots, which then turned into flies (Miller and Levine, 1991, p. 339). However, some scientists began to challenge this idea. Redi hypothesized that the maggots actually arose from eggs that were laid by flies on the meat. The eggs, he claimed, were too small to be seen by the human eye. 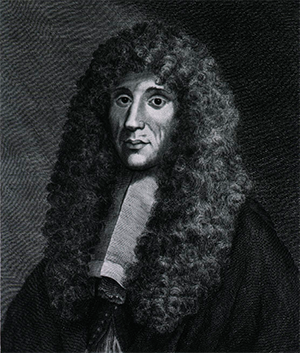 In 1688, he conducted experiments to test his hypothesis. Redi placed meat in jars, some of which were left open to the air, and some of which were covered with netting or were tightly sealed. Maggots were found to grow only on the meat that flies could reach. Thus, it was determined that life did not spontaneously generate on the rotted meat (Miller and Levine, 1991, p. 340). An 18th-century English scientist, John Needham, attacked the findings of Redi. He claimed that his own scientific experiments verified that microorganisms did in fact spontaneously generate in some gravy, after it was allegedly thoroughly boiled in a bottle. Thus, in 1768, Lazzaro Spallanzani conducted his own simple scientific experimentation to test Needham’s findings. He prepared gravy in the same manner that Needham had, divided it into two bottles, and boiled it thoroughly, killing all microorganisms. One of the bottles was corked, and the other was left open to the air. Spallanzani argued that if microorganisms were spontaneously generating from the gravy, the gravy from both bottles should be teeming with microorganisms after a few days. However, only the gravy in the open bottle was found to have microorganisms after the allotted time. Once again, it was determined that life does not spontaneously generate. Life comes only from other life (Miller and Levine, 1991, pp. 339-340). For many, the work of Spallanzani and Redi was still not enough to drive the proverbial nail into the coffin of spontaneous generation. 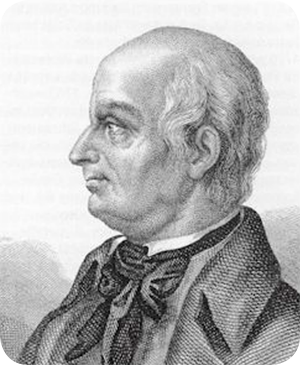 Some argued that air was needed for the spontaneous generation of life to occur, and Spallanzani’s corked bottle did not allow air to reach the gravy. A standard, evolution-based high school biology textbook states: “It was not until 1864, and the elegant experiment of French scientist Louis Pasteur, that the hypothesis of spontaneous generation was finally disproved” (Miller and Levine, 1991, p. 341, emp. added). 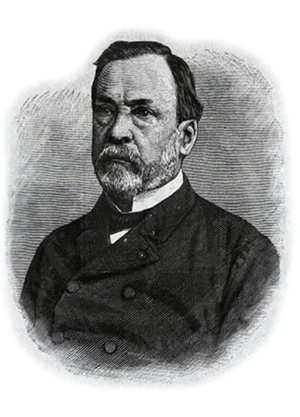 Pasteur placed a “nutrient broth,” similar to Needham’s gravy, in a flask with a long, s-curved neck. The flask was unsealed—left open to the air. However, the curvature of the flask’s neck served as an entrapment mechanism for dust particles and airborne microorganisms, keeping them from reaching the broth. The flask was observed over the time span of an entire year, and microorganisms could never be found. Next, he broke off the s-curved neck of the flask, allowing dust and microorganisms to reach the broth. After only one day, the broth was cloudy from dust and teeming with microorganisms. According to the aforementioned biology textbook, “Pasteur, like Redi and Spallanzani before him, had shown that life comes only from life” (Miller and Levine, 1991, p. 341, emp. added). 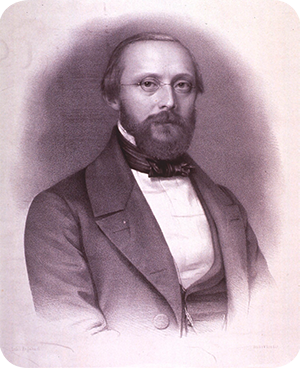 German scientist, Rudolf Virchow, further expanded scientific understanding of the Law of Biogenesis. Virchow is the scientist who “recognized that all cells come from cells by binary fusion” (“Definition: Rudolf Virchow,” 2006). In 1858, he made the discovery for which he is well-known—“omnis cellula e cellula”—“every cell originates from another existing cell like it” (“Definition: Rudolf Virchow”). The Encyclopaedia Britannica says, concerning Virchow, “His aphorism ‘omnis cellula e cellula’…ranks with Pasteur’s ‘omne vivum e vivo’ (every living thing arises from a preexisting living thing) among the most revolutionary generalizations of biology” (Ackerknect, 1973, 23:35, emp. added). So, in nature, life comes from life of its own kind. Sadly, many simply refuse to accept the evidence. This refusal to accept the impossibility of abiogenesis has resulted in many scientists scrambling to conduct research that could be used as scientific support for abiogenesis. And subsequently, media personnel, along with many in the scientific community, are quick to jump to rash conclusions about the finds of research. When a researcher’s work can conceivably be twisted to support the idea of spontaneous generation, it seems that the evolutionist will strive to do so—against all reason to the contrary. A stream of research has surfaced over the years to try to prove that abiogenesis could have happened (cf. Haeckel, 1876; Miller, 1953; Wong, et al., 2000; Hartgerink, et al., 2001; Sommer, et al., 2008; Gibson, et al., 2010), all to no avail. [NOTE: See the Apologetics Press Web site for a discussion and refutation of these references.] In their desperation, some evolutionists have begun to acknowledge the unlikelihood of abiogenesis and have even begun to theorize the baseless idea that aliens seeded life on Earth billions of years ago (cf. Hoyle and Wickramasinghe, 1981; Gribbin, 1981; Stein and Miller, 2008). Regardless of such speculation and conjecture, the evidence that science has found is clear. In nature, life comes only from life of its own kind. Period. All scientific evidence confirms this well-established principle of science. There are no known exceptions. Thus, biogenesis is a law. Abiogenesis is impossible. Prominent marine biologist and evolutionist, Martin Moe, admitted: “A century of sensational discoveries in the biological sciences has taught us that life arises only from life” (1981, p. 36, emp. added). Evolutionist George G. Simpson, perhaps the most influential paleontologist of the 20th century, stated, “[T]here is no serious doubt that biogenesis is the rule, that life comes only from other life, that a cell, the unit of life, is always and exclusively the product or offspring of another cell” (Simpson and Beck, 1965, p. 144, emp. added). In their textbook, Biology: A Search for Order in Complexity, Moore and Slusher wrote: “Historically the point of view that life comes only from life has been so well established through the facts revealed by experiment that it is called the Law of Biogenesis” (1974, p. 74, emp. in orig., ital. added). What does the scientific evidence indicate about the origin of life? Life creates life. The evolutionists themselves begrudgingly admit this, and yet refuse to accept its implications. If atheistic evolution is true, abiogenesis must be true. Belief in abiogenesis is a stubborn refusal to accept the scientific evidence, choosing in turn to give credence to evolutionary superstition, myths, and fables. is by far the weakest strut of the chassis of modern biology. 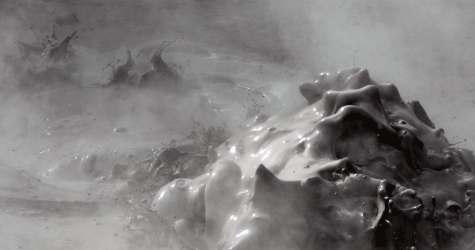 The origin of life is a science writer’s dream. It abounds with exotic scientists and exotic theories, which are never entirely abandoned or accepted, but merely go in and out of fashion (1996, p. 138). Hosts of high school, evolution-based biology textbooks commonly make comments concerning Pasteur’s experiments like, “the hypothesis of spontaneous generation was finally disproved” (Miller and Levine, 1991, p. 341, emp. added), although they continue to propagate evolutionary dogma and the spontaneous generation of life, sometimes on the very next page of the book (Miller and Levine, 1991, p. 342). Evolutionist and Nobel Laureate, George Wald, of Harvard University wrote: “As for spontaneous generation, it continued to find acceptance until finally disposed of by the work of Louis Pasteur” (1962, p. 187, emp. added). He further stated: “One has only to contemplate the magnitude of this task to concede that the spontaneous generation of a living organism is impossible. Yet here we are, as a result, I believe, of spontaneous generation” (1954, p. 47, emp. added). So, “spontaneous generation is impossible, but I’m going to believe it anyway”? Once we see, however, that the probability of life originating at random is so utterly minuscule as to make the random concept absurd, it becomes sensible to think that the favourable properties of physics on which life depends, are in every respect deliberate…. It is therefore almost inevitable that our own measure of intelligence must reflect in a valid way the higher intelligences…even to the extreme idealized limit of God (1981, pp. 141,144, emp. added). Evolutionist J.D. Bernal, one of the leading scientists among x-ray crystallographers and the man who coined the term, “biopoesis” (Bernal, 1951), stated: “It is possible to demonstrate effectively…how life could not have arisen; the improbabilities are too great, the chances of the emergence of life too small. Regrettably from this point of view, life is here on earth…and the arguments have to be bent around to support its existence” (Bernal, 1967, p. 120, emp. added). In other words, “Life could not have spontaneously generated, but I refuse to accept the only alternative. The arguments must be bent to explain everything without the need of that alternative.” Such a rationale (if it can be deemed rationale at all) is hardly scientific. Precious little in the way of biochemical evolution could have happened on the Earth. It is easy to show that the two thousand or so enzymes that span the whole of life could not have evolved on Earth. If one counts the number of trial assemblies of amino acids that are needed to give rise to the enzymes, the probability of their discovery by random shufflings turns out to be less than 1 in 1040,000 (1991, 91:415, emp. added). DNA cannot do its work, including forming more DNA, without the help of catalytic proteins, or enzymes. In short, proteins cannot form without DNA, but neither can DNA form without proteins. 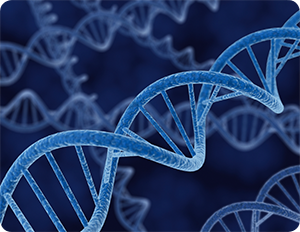 But as researchers continue to examine the RNA-world concept closely, more problems emerge. How did RNA arise initially? RNA and its components are difficult to synthesize in a laboratory under the best of conditions, much less under plausible prebiotic ones (1991, 264:119, emp. added). A decade later, Horgan was still at a loss concerning the origin of DNA, RNA, and enzymes. Again writing for Scientific American,he wrote, “DNA can make neither proteins nor copies of itself without the help of catalytic proteins called enzymes. This fact turned the origin of life into a classic chicken-or-egg puzzle: Which came first, proteins or DNA?” (2011). That’s quite a problem. How likely is it that DNA and its necessary proteins happened to evolve at exactly the same moment? Again, Horgan pressed the fact that the RNA-world hypothesis is not the answer. “The RNA world is so dissatisfying that some frustrated scientists are resorting to much more far out—literally—speculation” (2011, emp. added). In concluding his article, he stated: “Creationists are no doubt thrilled that origin-of-life research has reached such an impasse…” (2011). He is right about one thing. Creationists are thrilled at such findings. However, the thrill is not from origin-of-life research reaching an “impasse.” Rather, it is from the removal of an impasse in front of true origin-of-life research! Evolutionists themselves realize that abiogenesis is impossible. The McGraw-Hill Dictionary of Scientific and Technical Terms defines “abiogenesis” as, “the obsolete concept that plant and animal life arise from nonliving organic matter,” although the contributors would hardly be deemed creationists (2003, p. 3, emp. added). It bears repeating: the notion of spontaneous generation is an obsolete concept! The beginning of the evolutionary process raises a question which is yet unanswerable. What was the origin of life on this planet? Until fairly recent times there was a pretty general belief in the occurrence of “spontaneous generation”…. But careful experiments, notably those of Pasteur, showed that this conclusion was due to imperfect observation, and it became an accepted doctrine that life never arises except from life. So far as the actual evidence goes, this is still the only possible conclusion (1933, p. 94, emp. added). How, then did the precursor cell arise? The only unequivocal rejoinder to this question is that we do not know…. There is one step [in evolution—JM] that far outweighs the others in enormity: the step from macromolecules to cells. All the other steps can be accounted for on theoretical grounds—if not correctly, at least elegantly. The macromolecule-to-cell transition is a jump of fantastic dimensions, which lies beyond the range of testable hypothesis. In this area all is conjecture. The available facts do not provide a basis for postulating that cells arose on this planet. This is not to say that some para-physical forces were not at work. We simply wish to point out that there is no scientific evidence (1967, p. 403, 406-407, emp. added). According to this story, every tree, every blade of grass, and every creature in the sea and on the land evolved out of one parent strand of molecular matter drifting lazily in a warm pool. What concrete evidence supports that remarkable theory of the origin of life? There is none.... At present, science has no satisfactory answer to the question of the origin of life on the earth (1977, p. 60, 62-63, emp. added). Take some matter, heat while stirring, and wait. That is the modern version of Genesis. The “fundamental” forces of gravity, electromagnetism and the strong and weak nuclear forces are presumed to have done the rest…. But how much of this neat tale is firmly established, and how much remains hopeful speculation? In truth, the mechanism of almost every major step, from chemical precursors up to the first recognizable cells, is the subject of either controversy or complete bewilderment. We are grappling with a classic “chicken and egg” dilemma. Nucleic acids are required to make proteins, whereas proteins are needed to make nucleic acids and also to allow them to direct the process of protein manufacture itself. The emergence of the gene-protein link, an absolutely vital stage on the way up from lifeless atoms to ourselves, is still shrouded in almost complete mystery…. We still know very little about how our genesis came about, and to provide a more satisfactory account than we have at present remains one of science’s great challenges (1985, 106:30-33, emp. added). More than 30 years of experimentation on the origin of life in the fields of chemical and molecular evolution have led to a better perception of theimmensity of the problem of the origin of life on Earth rather than to its solution. At present all discussions on principal theories and experiments in the field either end in stalemate or in a confession of ignorance (1988, 13:348, emp. added). The arrival of the 1990s did little to help evolutionists find an answer for the origin of life. Evolutionist John Maddox, writing in Nature, said, “[I]t is disappointing that the origin of the genetic code is still as obscure as the origin of life itself” (1994, 367:111, emp. added). This course focuses exclusively on the scientific approach to the question of life’s origins. In this lecture series, I make an assumption that life emerged from basic raw materials through a sequence of events that was completely consistent with the natural laws of chemistry and physics. Even with this scientific approach, there is a possibility that we’ll never know—in fact, that we can’t ever know. It is possible that life emerged by an almost infinitely improbable sequence of difficult chemical reactions. If life is the result of an infinitely improbable succession of chemical steps, then any scientific attempt to understand life’s origin is doomed to failure; such a succession could not be duplicated in a program of lab experiments. If the origin of life was an infinitely improbable accident, then there’s absolutely nothing you or I or anyone else could do to figure out how it happened. I must tell you, that’s a depressing thought to someone like me who has devoted a decade to understanding the origin of life (2005, emp. added). Evolutionist Paul Davies, theoretical physicist, cosmologist, astrobiologist, and professor at Arizona State University, writing in New Scientist, said, “One of the great outstanding scientific mysteries is the origin of life. How did it happen?...The truth is, nobody has a clue” (2006, 192:35, emp. added). Richard Dawkins stated in an interview with Ben Stein regarding the origin of life, “Nobody knows how it got started. We know the kind of event that it must have been. We know the sort of event that must have happened for the origin of life. It was the origin of the first self-replicating molecule.” Stein asked, “Right. And how did that happen?” Dawkins replied, “I’ve told you. We don’t know.” Stein then said, “So, you have no idea how it started?” Dawkins replied, “No. Nor has anybody” (Stein and Miller, 2008, emp. added). John Horgan did not even try to veil his admission within an article. He titled one of his articles, “Pssst! Don’t Tell the Creationists, but Scientists Don’t Have a Clue How Life Began” (2011, emp. added). Such admissions are quite telling, albeit incorrect. What Davies, Horgan, and Dawkins mean is, no naturalist “has a clue.” Biblical supernaturalists, on the other hand, know exactly how life originated, and the answer harmonizes perfectly with the Law of Biogenesis—unlike evolution’s life-origins fairytale. “Faith”? “Miracle”? Evolutionist John Sullivan admitted, “The hypothesis that life has developed from inorganic matter is, at present, still an article of faith” (1933, p. 95, emp. added). Sir Francis Crick conceded, “An honest man, armed with all the knowledge available to us now, could only state that in some sense, the origin of life appears at the moment to be almost a miracle, so many are the conditions which would have had to have been satisfied to get it going” (1981, p. 88, emp. added). Noted physiologist and zoologist G.A. Kerkut said that spontaneous generation is “a matter of faith on the part of the biologist…. The evidence for what did happen is not available” (1960, p. 150, emp. added). It is doubtful that anything like the conditions which were simulated in the laboratory existed at all on a primitive Earth, or occurred for long enough times and over sufficiently extended regions of the Earth’s surface to produce large enough local concentrations of the biochemicals required for the start of life. In accepting the “primeval soup theory” of the origin of life, scientists have replaced religious mysteries which shrouded this question with equally mysterious scientific dogmas. The implied scientific dogmas are just as inaccessible to the empirical approach (1978, p. 26, emp. added). If the origin of life is “a matter of faith” in the sense that no human being was physically present to observe it, then how can we determine which view—spontaneous generation or special creation—is the truth? The atheistic evolutionist insists: “I don’t know how it happened, but I won’t accept God.” However, the Bible asserts that the evidence is available for us to arrive at truth, and it is the truth that will set us free (John 8:32). It is not a “leap into the dark” without evidence. God “did not leave Himself without witness” (Acts 14:17). Knowledge of God’s existence, and thus special creation, is not only attainable, but those who reject the evidence are “without excuse” (Romans 1:20). The created order “declares” the truth of the matter (Psalm 19:1). Is it not true that the reasonable view on the origin of life will be the view that is in keeping with the evidence we do have? Why would science lie? It has no agenda or bias. Science should support the correct view—not contradict it. What does the evidence say? In nature, life comes only from life and that of its kind. Therefore, abiogenesis does not happen. Science has proven this truth time and time again. To continue to champion abiogenesis is to hold to a view that flies in the face of the evidence, taking a leap into the dark without evidence. The only plausible option—an option that does not contradict the scientific evidence—is supernatural creation. Ackerknect, E.H. (1973), “Rudolph Virchow,” Encyclopaedia Britannica, 23:35. Balme, D.M. (1962), “Development of Biology in Aristotle and Theophrastus: Theory of Spontaneous Generation,” Phronesis: A Journal for Ancient Philosophy, 7[1-2]:91-104. Bernal, J.D. (1951), The Physical Basis of Life (London: Routledge & Kegan Paul). Bernal, J.D. (1967), The Origin of Life (London: Weidenfeld & Nicolson), third impression. “Biopoiesis” (2011), Encyclopaedia Britannica Online, http://www.britannica.com/EBchecked/topic/66167/biopoiesis. Davies, Paul (2006), New Scientist, 192:35, November 18. “Definition: Rudolf Virchow” (2006), Webster’s Online Dictionary with Multilingual Thesaurus Translation, http://www.websters-online-dictionary.org/definitions/Rudolf%20Virchow?cx=partner-pub-0939450753529744%3Av0qd01-tdlq&cof=FORID%3A9&ie=UTF-8&q=Rudolf%20Virchow&sa= Search#906. Dose, Klaus (1988), “The Origin of Life: More Questions than Answers,” Interdisciplinary Science Reviews, 13:348. Gibson, D.G., et al. (2010), “Creation of a Bacterial Cell Controlled by a Chemically Synthesized Genome,” Science, May 20, http://www.sciencemag.org/cgi/content/abstract/science.1190719. Green, D.E. and R.F. Goldberger (1967), Molecular Insights into the Living Process (New York: Academic Press). Gribbin, John (1981), “Of a Comet Born,” Science Digest, 89:14, April. Haeckel, Ernst (1876), The History of Creation, vol. 1 (New York: D. Appleton and Company). Hartgerink, Jeffrey D., Elia Beniash, and Samuel I. Stupp (2001), “Self-Assembly and Mineralization of Peptide-Amphiphile Nanofibers,” Science, 294:1684-1688, November 23. Horgan, John (1991), “In the Beginning,” Scientific American, 264:119, February. Horgan, John (1996), The End of Science (Reading, MA: Addison-Wesley). Houts, Michael G. (2007), “Evolution is Religion—Not Science [Part I],” Reason & Revelation, 27:81-87, November, http://www.apologeticspress.org/apPubPage.aspx?pub=1&issue=595. Hoyle, Fred and Chandra Wickramasinghe (1978), Lifecloud (New York: Harper & Row). Hoyle, Fred and Chandra Wickramasinghe (1991), “Where Microbes Boldly Went,” New Scientist, 91:415, August 13. Keosian, John (1964), The Origin of Life (New York: Reinhold). Kerkut, Gerald A. (1960), The Implications of Evolution (London: Pergamon). Miller, Kenneth R. and Joseph Levine (1991), Biology (Englewood Cliffs, NJ: Prentice Hall). Miller, Stanley L. (1953), “A Production of Amino Acids Under Possible Primitive Earth Conditions,” Science, 117:528-529, May 15. Moe, Martin (1981), “Genes on Ice,” Science Digest, 89:36, December. Moore, John N. and H.S. Slusher (1974), Biology: A Search for Order in Complexity (Grand Rapids, MI: Zondervan). Simmons, K. (2007), “Cell Theory,” Cells and Cellular Processes Course Notes (Winnipeg, Manitoba, Canada: University of Winnipeg), Fall, http://kentsimmons.uwinnipeg.ca/cm1504/celltheory.htm. Simpson, George G. and William Beck (1965), Life: An Introduction to Biology (New York: Harcourt, Brace, & World), second edition. Sommer, Andrei P., Dan Zhu, and Hans-Joerg Fecht (2008), “Genesis on Diamonds,” Crystal Growth & Design, 8:2628-2629, DOI: 10.1021/cg8005037. Sullivan, J.W.N. (1933), Limitations of Science (New York: Viking Press). Thompson, Bert and Brad Harrub (2003), “Have Scientists Created Life? : Examining the Miller-Urey Experiment,” Apologetics Press, http://www.apologeticspress.org/APContent.aspx?category=9&article=1108. Wald, George (1954), “The Origin of Life,” Scientific American, 191:44-53, August. Wald, George (1962), “Theories on the Origin of Life” in Frontiers of Modern Biology (Boston, MA: Houghton-Mifflin). Wong, Gerard C.L., Jay Tang, Alison Lin, Youli Li, Paul Janmey, and Cyrus Safinya (2000), “Hierarchical Self-Assembly of F-Actin and Cationic Lipid Complexes: Stacked, Three-Layer Tubule Networks,” Science, 288:2035-2039, June 16.